We rent out our rooms for improv/sketch practice or something equivalent. You can find all the information you need to know here in this article. Our rooms have time slots open every day of the week. Please email info@endgamesimprov.com for current availability. Endgames Administration may pop in to grab an item at any given time. This is not often and we will do what we can to avoid disturbing your rental time. We rent out our rooms in 3-month bulks for $45/3-hours on the weekends and $105/3-hours on the weeknights. The total cost will vary depending on how many weeks are within the 3 months. **Weeks are not skippable. 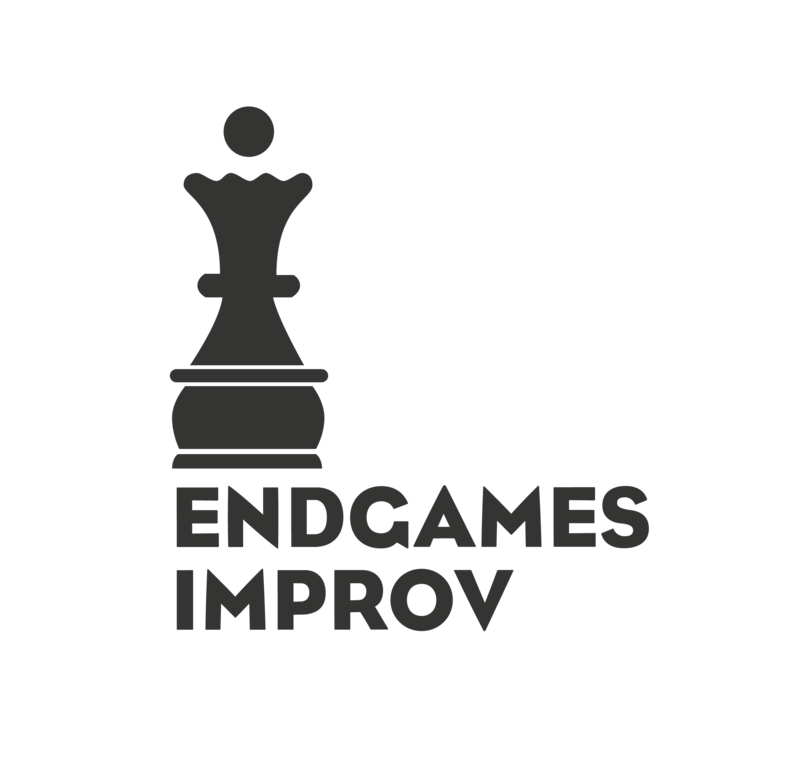 For an exact price, email info@endgamesimprov.com to let us know what date you would like to begin and we can give you a quote. You can also rent out our space as a one-off for a base price of $135/3-hours. We only offer one-offs within a week of the requested date if our space is available. After rental period has been confirmed, we will send you a money request via PayPal with the rental details. The room will be held for a 24-hour period to give time for payment. Once we receive the payment, you will receive a confirmation email. Payment is non-refundable. Your payment indicates your agreement to the Rental Policies written below. You are welcome to renew your rental space. In order to reserve your space for the next round, you must pay one month before your rental period's end date. If we do not receive a payment by this time, the time slot is open for others to reserve your time slot. Your current rental end date is 7/31. Ask Endgames for the cost to renew rental by 6/20. You pay by 6/30 to continue your rental. Your rental has been renewed until 10/31. In this case, if we do not receive a payment by 6/30, it is possible for another person/team to pay to reserve your time slot starting anytime after 8/1. By renting out our rooms, you are agreeing to the rental terms listed below. Our rental spaces are for improv/sketch practice only or something equivalent. We do not offer any refunds after payment is made. Please be respectful of our space. Treat our rooms and equipment with care. Clean up after you are finished with the room. Make sure to throw your trash/recycle/compost into bins. Treat our kitchenette and bathrooms with care. Do not disturb other renters. Using the bathroom and/or entering the front door at ETC North is the only exception. No shows, workshops, or any other profit making event are to take place in the rooms during your reservations. You will be given codes to gain entrance to our building. These codes are only meant for you and your team to know and use. You are to not share this code with anyone outside of your party. We do not guarantee absolute privacy in our rooms. In the ETC North building, the entrance is located in the front room and the bathroom is located in the back room. There are times someone within the staff may need to step in shortly to grab an item. Instruments or loud amplified noises are generally not allowed unless with special approval by Endgames Improv. Rentals are not freely transferable. We may approve a swap. The new users in this swap will need to be well versed in the rental policies. You will ultimately be responsible for the rental space. You will have 30 minutes after your rental period ends to finish up and have the room ready for the next renters. Our Lost and Found bins are not always accessible due to their location. Please email info@endgamesimprov.com if you may have left something at our facilities before coming to pick it up.